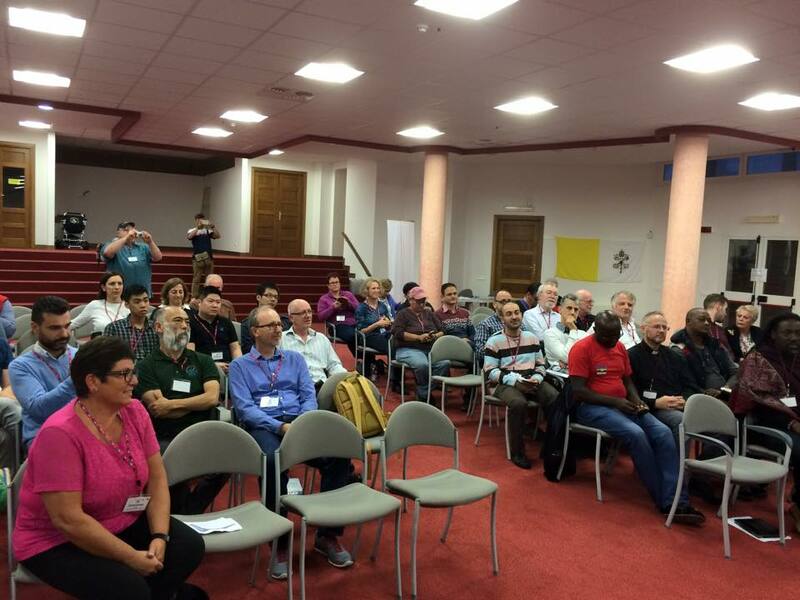 It’s been a superb, inspirational day in Rome, at the foundation conference of the Global Network of Rainbow Catholics. We began early with morning prayer (before breakfast), structured around some biblical texts on the importance of listening, followed by two reflections, and prayers of petition. What are the challenges you are facing? What has been your greatest success? What support / help do you need? What had we particularly responded to? What were the common threads running through the reports? Similarly, what had been missing from the country reports? How is the Spirit calling the Church to respond? We assembled for Mass, with a powerful homily on how homophobic words from the pulpit have the potential literally to kill, by driving a young gay man to the verge of suicide – but supportive words from a priest can bring him back from the brink (as they did in this real – life story). Truly pastoral care, whether provided by ordained clergy or by ourselves, can literally save lives. That story amounts to a powerful example of testimony – an important component contributing to narrative theology. Fittingly, “testimony” was the theme for the final part of our day, a book launch for a publication by the European Forum of Lesbian and Gay Christian Groups, edited by two of our members, on the stories of LGBT Catholics and their experience of the Catholic church. I’ll have more on the detail of the content later – but for now, must simply add how so many of us expressed deep joy at simply being able to be present, to share and hear the experiences of themselves and others from such widely differing backgrounds. The second really important point, remarked on by many, was precisely the terrific diversity of the group. I referred to this in last night’s post, but did not fully describe the entire range. I can now confirm that fully 31 countries are represented, from all continents (except Antarctica), including the whole of the LGBT alphabet. I’m not sure about the “QI” often tagged on the end for queer (or questioning) and Intersex, but I can confirm that, in the description by one group present, we were definitely LGBTH – the “H” representing heterosexual, in this case represented by parents, a grandparent, and some supportive clergy. Also represented was the full gamut of church status, from lay LGBT volunteers, paid activists and lay church staff, theologians, women religious, priests and a bishop. Ages ranged from adults to those well into retirement. The third important point is that this was emphatically a pastoral conference, not a political one. The day began with prayer, and formal proceedings before the book launch ended with Mass. Throughout the day, formal deliberations and reports were liberally interspersed with moments of quiet, with calls to digest and reflect on (pray over) what we had heard, and to listen to what the Spirit was saying to us: classic Ignatian “head and heart” stuff in balance. There’s still more to write up on the detail, report content, and small group feedback, pictures to post – and even more to come tomorrow, especially with the public “Ways of Love” conference tomorrow afternoon. WOW – It’s quite a ride.